When European explorers went out into the world to open up trade routes and establish colonies, they brought back much more than silks and spices, cotton and tea. Inevitably, they also brought back impressions of the people with whom they came into contact—impressions that, while occasionally admiring, were more often hostile or contemptuous. 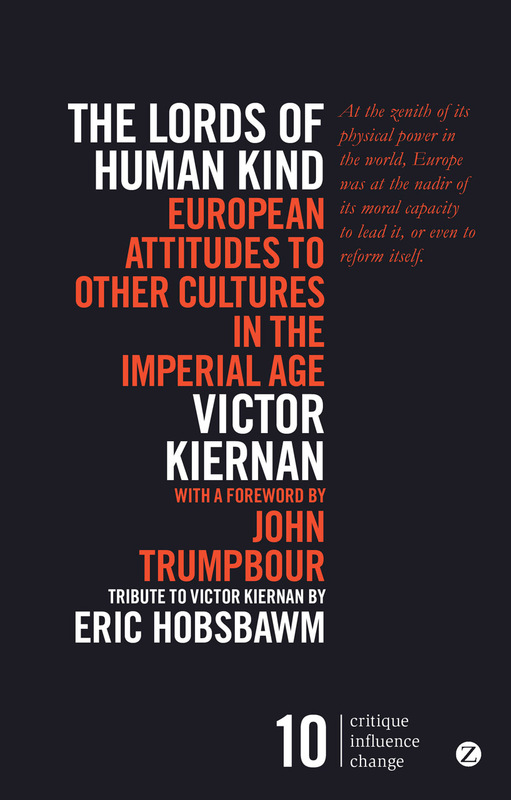 First published in 1969, and a major influence on a generation of historians and cultural critics, Victor Kiernan’s The Lords of Human Kind reveals the full range of those responses. Drawing on a wide array of sources, including missionaries’ memoirs, letters from the wives of diplomats, explorers’ diaries, and the work of writers as diverse as Voltaire, Thackeray, Goldsmith, and Kipling, Kiernan presents a sweeping account of European attitudes to other peoples that emerged from the Age of Exploration, endured through the colonial era, and, with some changes, persist in today’s more multicultural Europe. Erudite, ironic, and global in scope, The Lords of Human Kind is a landmark in the history of Eurocentrism, ready to reach a new generation of readers.